At Inn Trade Associates Limited we are committed to protecting and respecting your privacy. With this in mind and the new data protection legislation (known as General Data Protection Regulation – GDPR) which comes into force on 25th May 2018, we have made some changes to our terms and conditions. • What your rights are: New details of who to contact with any queries. Your privacy is protected by law. Data Protection law says that we are allowed to use personal information only if we have a proper reason to do so. 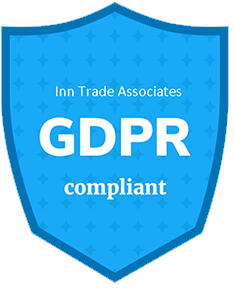 Inn Trade Associates Ltd do all we can to respect your right to privacy and the protection of your personal information. We are a small business and take care with what we do with your information to run our business and provide our clients with a high quality accountancy service. We collect and process various types of personal information, including basic information such as name, date of birth, national insurance number, marital status and contact details, and information about your business and its financial status. Most of your information will have been provided by you. In some circumstances, it may be provided by your suppliers, landlord or the government (e.g. HMRC) but only if you have given prior consent. You have several legal rights to control what we do with your information. For example, you can ask us to tell you what information we have about you and get a copy of it; correct or update information that is wrong; stop us using your information in certain circumstances. Please note that in some cases, asking us to do this may mean that we are no longer able to provide you with our services. We hope that we can resolve any complaints, but if we don’t you can contact the Information Commissioner’s Office (ICO). GDPR law says that we can only use your personal information if we have a proper reason to do so. This includes sharing your data with third parties. We use your information mainly in the execution of our duties as your accountants but occasionally also to pass to such bodies as HMRC or your Landlord. In all cases you are asked for your permission to do this. We may also use it to comply with laws and regulations that apply to us and to protect our business and our employees. We keep your information confidential and will only share your information for the purposes mentioned in our privacy notice (see above). This may include sharing with third parties such as service providers and fraud prevention agencies and law enforcement agencies or regulators. All the information we hold on you will be used and stored in the UK. 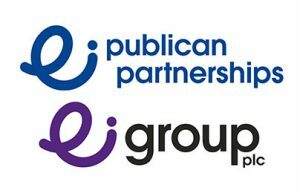 Unless you have told us not to, we may occasionally send you information relating to extra services that either we, or approved 3rd parties, can provide. Inn Trade Associates Ltd will never share your information with third parties for their own marketing purposes without your permission. If you decide you no longer want to receive these communications, you can tell us at any time by contacting us at 0800 848 2998 or email us on admin@inntrade.net. We use the contact details you have provided to us to send you information relevant to your business including email, text, phone and post. During the time we act on your behalf, wherever possible, information we hold will be returned to you. Where we DO retain your information, we don’t keep it for longer than we need to, which is usually up to six years or up to 6 years after you cease to be a client. Sometimes we are required to keep it longer (for example due to a court order or investigation by law enforcement agencies or regulators). After 6 years paper information not returned to you is destroyed and electronic information is deleted. To download a copy in PDF format please click here.